In this busy day and age where you barely have time for anything but meeting deadlines and fulfilling responsibilities, the most important thing you can afford is self-care. This is something we often overlook because there’s simply no time. We do this without realizing that a little self-care makes us more relaxed, happier, more comfortable in our own skin, and more productive. Detox is one of the keys to that, even though many would lead you to believe it’s just a hoax. In truth, detoxing your body the right way does wonders for the peace of your mind. Rarely anyone today has the time for a real spa experience, but that doesn’t mean you can’t get a spa treatment at home. It’s a very simple procedure, requiring only for you to dip a washcloth in a sink full of hot water. You should scrub your body twice a day for maximum effect. This way, you’ll start your way relaxed and end it that way, too. On top of that, you’ll notice how radiant your skin has become. There’s nothing better than taking a nice hot bath after a long day. To make it more special, you should try setting the mood. This can go as far as just lighting a few candles, but adding something to your bath makes it all the more special. Instead of buying commercial soaps and bubble baths, try adding flowers. This is a natural and therapeutic detox method used in many traditions throughout the ages. Pick the flowers you are drawn to, make them a part of your nightly bath, and enjoy. 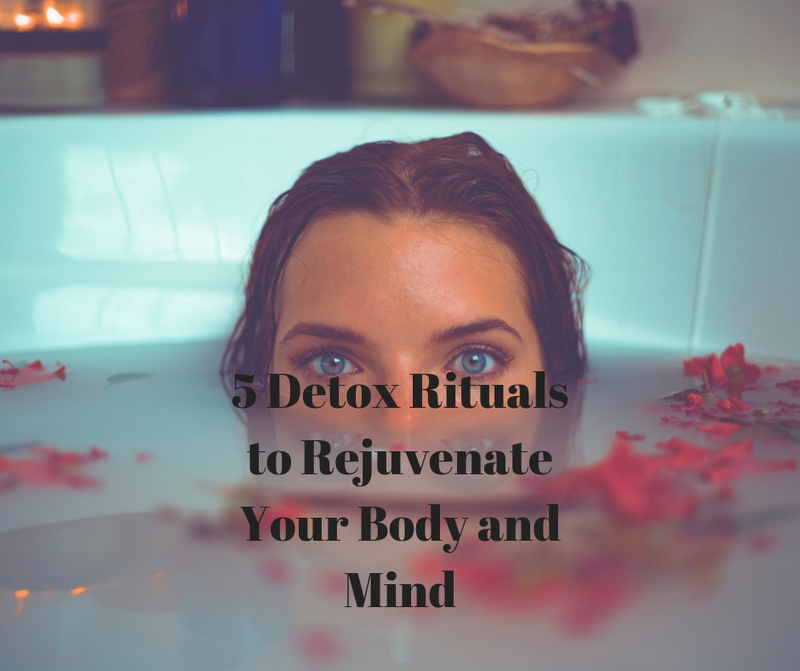 We often only detox our body, and while that has a positive effect on our brain, it’s important to set time aside for it, as well. If classic meditation isn’t something you’re after, you should try tea meditation. Tonic herbs help us deal with stress more easily and heal us from within. Make yourself a cup of natural herb tea and enjoy some moments of relaxation while you drink it. It will make your internal organs healthier, mainly affecting your liver and lungs. So if you want a relaxed and detoxed attitude with a healthy body, tea meditation is the way to go. We often neglect our skin, but the truth is, it absorbs most of the toxins throughout the day. There are various tips for a good skincare routine, but the best remedy is probably argan oil. It’s full of antioxidants and vitamins, suitable for every part of your skin- and even hair. It also protects you from sun damage and other toxins, while making your skin softer. Since this isn’t something you can make at home, you should choose an organic and trusted company. One of such is definitely Akhal Beauty, which provides organic cosmetics for everything you need, including, and especially, argan oil. A very simple way to stay detoxed and relaxed is to form a habit of always having a refreshing beverage with you. This doesn’t need to be anything fancy. In fact, the simpler it is, the better. Water is good for our skin, internal organs, normal bodily functions, and overall health. Adding some lemon to it gives you a kick of energy and leaves you feeling fresh. Additionally, you could put some mint leaves in your bottled water. As you can tell, there are some easy yet fail-proof ways for detoxing that will leave you feeling fresh and new. 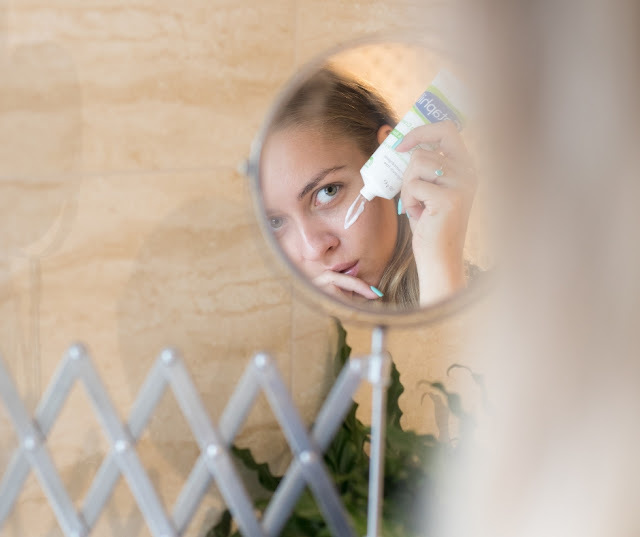 It’s just a fact that we’re exposed to a lot of toxins on day to day basis due to the modern lifestyle, but that doesn’t have to mean anything if we don’t let it. These simple routines are convenient because they don’t take a lot of time to prepare. Most importantly, they give you the excuse to take some time to yourself, even if just for a few minutes.